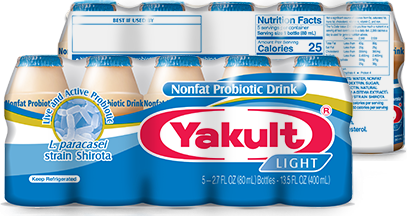 Yakult Light provides the same benefits as Yakult, but is a lower sugar option. Contains 30 calories per bottle and 4 grams of sugar. No fat. No cholesterol. No preservatives. No gluten. No high fructose corn syrup. No aspartame. 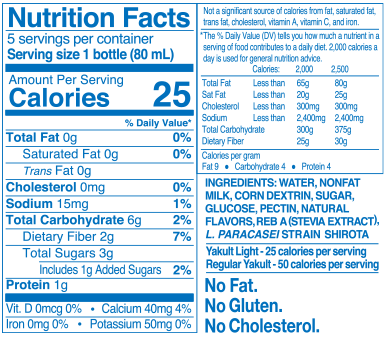 Yakult Light is sweetened with Reb A, which is extracted from the Stevia leaf.